Are you happy for Crystal Dragon and Super Scramble Simulator to be classed as freeware or are there any conditions linked to how the disk images can be used? How did you end up working for Magnetic Fields? Moved to Colwyn Bay from Ashton-in-Makerfield in around 1987, was hobby programming on the Atari ST at the time and rang "Mr. Chip" in Llandudno to see if they supplied software for the ST but Doug Braisby (founder of Mr.Chip) said they didn't sell software, they were a software developer. So I said I was a programmer on the ST and could they use another one and Doug said to come in for an interview. I was examined by the legendary "sout" (Shaun Southern of Trailblazer, Kick-Start, Lotus Turbo Challenge, Rally Championship fame) and it just so happened that he was trying to make sense of the weird format of the ST screen to do scrolling etc. and I'd just done code to do exactly that so I ended up working there (self-employed). Mr.Chip became Magnetic Fields very shortly thereafter (as Mr. Chip were associated with 8-bit). 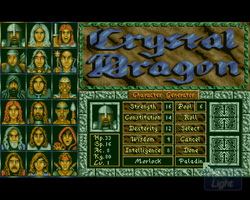 Was RPG one of your favourite game genres and is Crystal Dragon the game you are most proud of? Yes and Yes :) Especially how I managed to use a single floppy disk to allow two saved games in such a way that the player could in fact go all the way back to the first level from the last with the levels essentially loading as they were left on the way down. You are credited with programming for both Super Scramble Simulator and Crystal Dragon - did you ever get involved with other aspects of game creation such as sound effects/ graphics / music? Apart from the programming I did overall game design, level design, had some input with respect to sound effects and obviously a considerable amount of game testing ;) The programming did include writing our custom sound/music player for the ST, of course on the Amiga it was our implementation of Soundtracker code. At Magnetic Fields I also did the Atari ST version of Super Cars and helped with Wrangler. I then went to Parys Technografx and worked on Tower of Souls (Amiga/PC/Windows Mobile/iPhone), the 3DPets series (PCPup, Splat the Cat, Koi-Koi and Zap the Alien), then I worked with others on the Weight-Watchers CDs and then we've been working mainly in the mobile software area including our VNC client "PT Pocket Office", Pokerus and i.Candy. 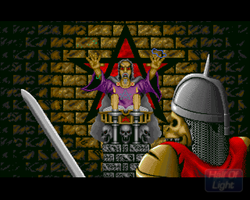 Where there any aspects of programming you found difficult on the Amiga? 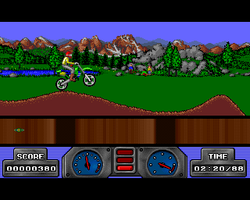 Only the graphics (colours), speed and memory limitations. Were you involved in programming on other computers before or after the Amiga? 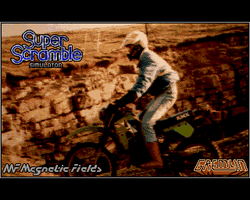 A common feedback comment for Super Scramble Simulator on the Lemon Amiga forum is that the game was very difficult. Can you remember how the game testing was carried out for the game? I'm not surprised, we didn't add enough feedback information for the player e.g. warning when liable to skid if going too fast down a muddy slope. Of course most Brits were OK with games like this as learning such things from experience is expected here but we underestimated how much "hand-holding" US gamers require ;) We of course did not have any US gamers to test play before release. 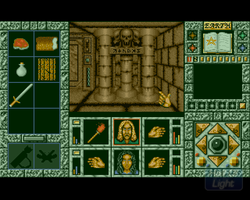 Screenshot taken from Lemon Amiga. Are you still involved in the computer industry and if so are there any projects you are currently involved in you would like to share with us? Yes. Just released "i.Candy" for Apple iOS (iPad/iPhone/iTouch) which is a realtime fractal animation program including animation to music/sound (via microphione).Am just writing the Apple OSX version (for intel Macs).Also our excellent VNC client for iOS "PT Pocket Office".Our next project will be a game designed specifically with the iOS devices in mind,. 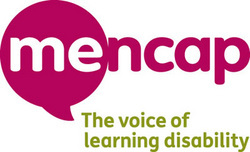 We hope you enjoyed reading this interview - remember AmigaPd is charity ware - please visit our just giving page to support our chosen charity Mencap.